Nigel Warren checks the teeth of a northern fur seal. Not all of UBC’s science researchers wear lab coats. Some live at the Vancouver Aquarium. They swim around in pool until, on command, they provide important data to help biologists understand how marine mammals are affected by environmental changes in the wild. They are a group of Steller sea lions and northern fur seals working with David Rosen, a research scientist at UBC’s Institute for the Oceans and Fisheries. In a unique collaboration involving scientists, veterinarians, animal trainers and these well-trained marine mammals, Rosen’s team is trying to figure out why these species’ numbers are declining in the wild and how humans can save them. The number of Steller sea lions in the world has dropped by 70 per cent since the 1980s — a decimation unheard of for a large mammal, according to Rosen. The northern fur seal population has dropped by about 6 per cent per year since the 1970s. 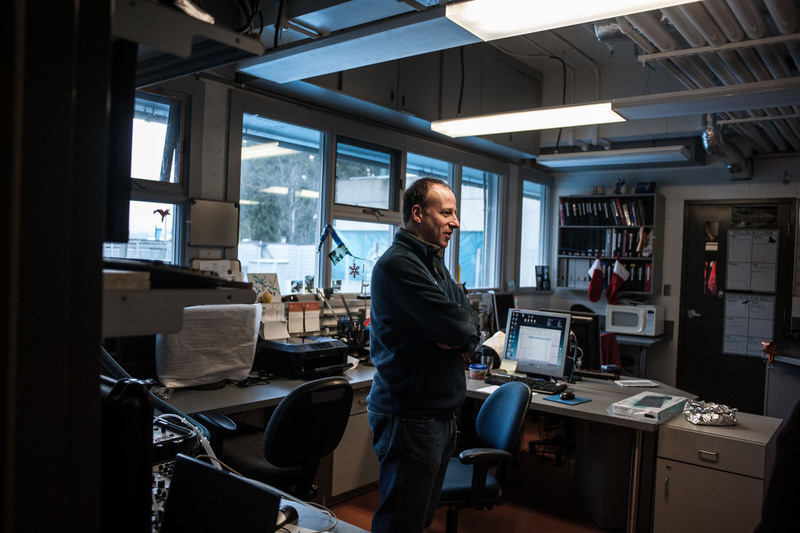 Marine biologist David Rosen's lab at the Vancouver Aquarium. 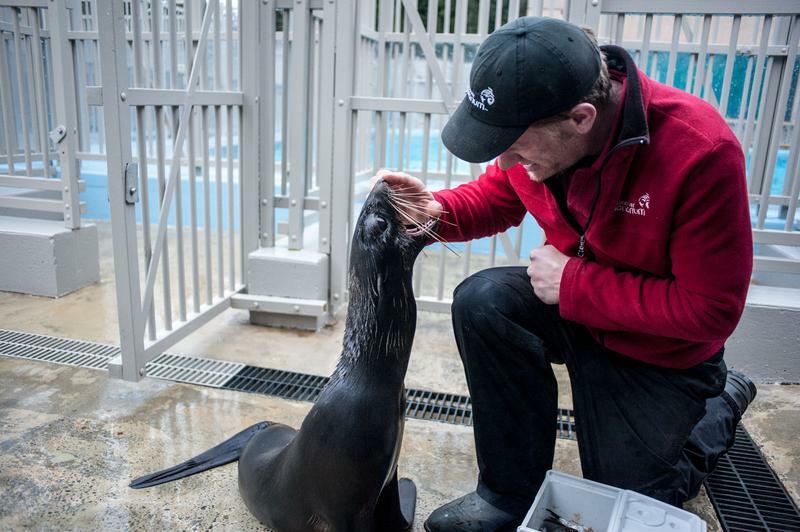 The five northern fur seals and four Steller sea lions in Rosen’s lab have been trained since they were pups. They perform all their tasks voluntarily and calmly, Rosen said, which adds validity to his studies. The science isn’t based on stressed animals, thus producing more reliable data. This is made possible by the close collaboration with animal trainers and veterinarians who advocate specifically for the best interests of the animals. This is often lacking in cases when animals are brought to university labs where researchers, though not particularly cruel, have different priorities and may not know how to train the animals, Rosen explained. “We can have a discussion between the two balancing sides and come up to an optimal research perspective,” Rosen said about his team. Working with the animals is Rosen’s favourite part of the job — a refreshing change from dealing with data and numbers collected by research technicians. "As a scientist, we're not supposed to think of animals as individuals, which is, of course, ridiculous,” Rosen explained. Although he understands the need for distancing himself from the research animals to avoid interpreting his data with bias, he notices the distinct personalities of the animals he works with. While the Steller sea lions tend to be more inquisitive, they are also more likely to test the trainers and see if they can get away with partial effort, according to Rosen. Although Rosen got to work hands-on with the animals when they were pups, he now leaves it to the professional trainers. Waller hadn’t planned to train marine mammals as a career. When he was a marine biology student at UBC, Waller would come to the aquarium and study in the underwater viewing rooms. He then started volunteering at the aquarium and worked his way up from cleaning otter pools to training the aquarium’s sea lions after graduation. 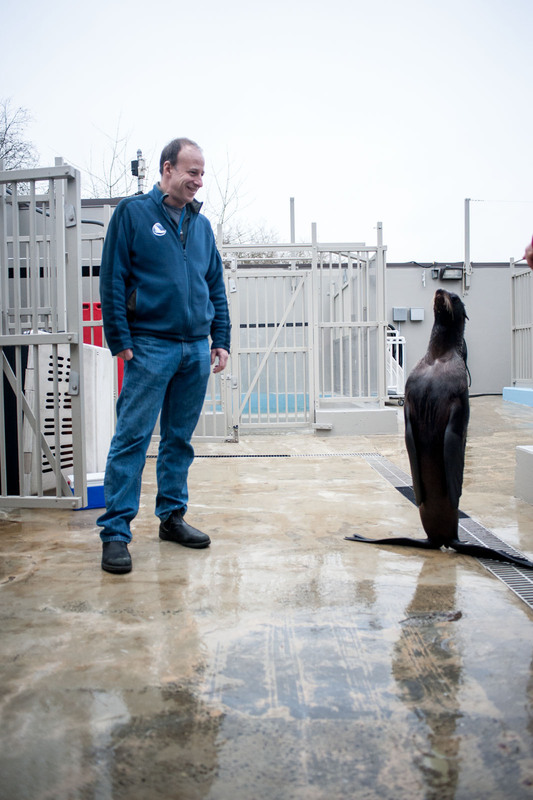 Even as The Ubyssey team snapped photos and fired questions at Rosen and Waller, the seals and sea lions remained unfalteringly focused on their trainer. However, the strong bond between the research animals and their trainer is best exemplified at Rosen’s other lab facility — an open water research station located at Port Moody. Another four Steller sea lions that are housed there are trained to swim and dive alongside the scientists’ boats in the open ocean without any restraint. 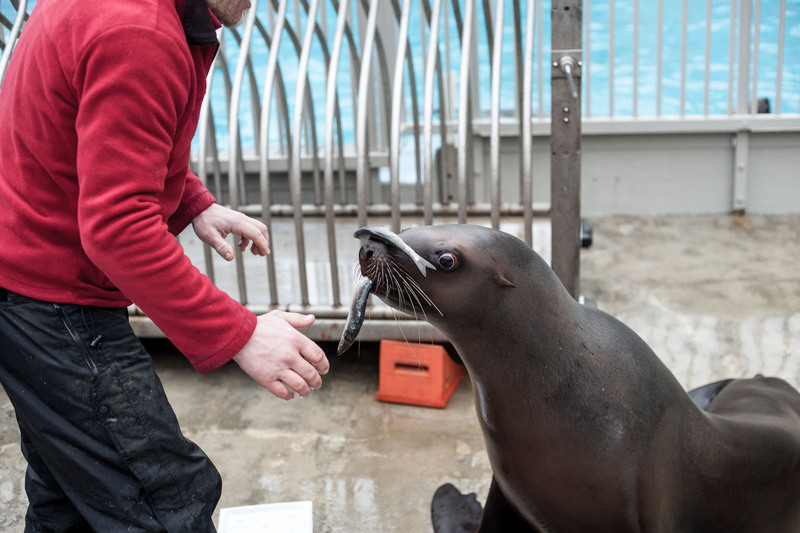 Whereas studies in the outdoor facility aren’t limited by space and allow the researchers to collect data while the seals swim and dive, the aquarium lab team can manipulate the seals’ environment and food to observe the impacts on the individual animals. Using data from the animals at the aquarium, researchers can build computer models to represent the health impacts of the animals’ diet, for example. Rosen’s studies have found that when food is limited, the diet quality becomes an additional health concern for the seals and sea lions. However, if food supply is plentiful, the quality of the fish the mammals eat doesn’t impact their well-being. A Seller sea lion waits for Waller's command before eating her fish. Rosen’s research aims to provide a more clear, science-based understanding of how to best protect these mammals’ populations. There are political and financial consequences associated with declaring a species like the Steller sea lion as endangered, Rosen explained, noting that strict fishing restrictions aimed at preserving the sea lion population can have severe economic consequences. There is a rush to institute regulations without a scientific consensus on what the best protective measures are and how to implement them, according to Rosen. "Sometimes they're broad strokes,” Rosen explained. “Science is trying to refine that so the restrictions are a little less severe so both sea lions and fishing industry can operate."